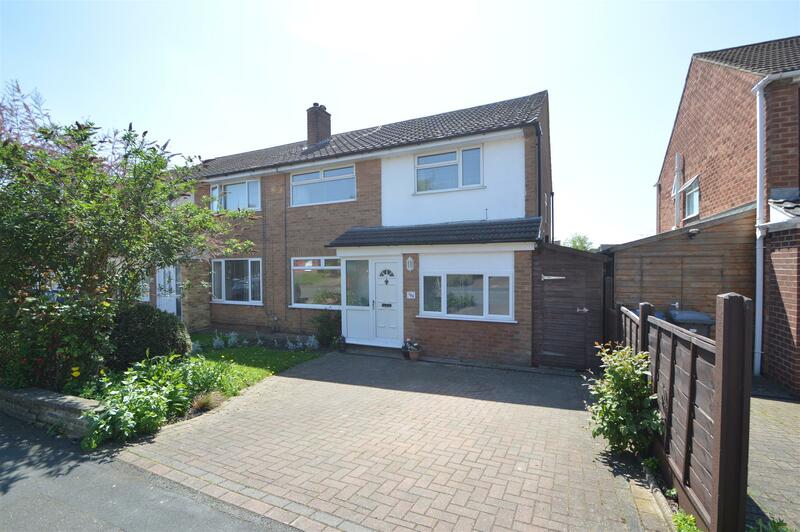 Benjamins are pleased to bring to market this Four Bedroom Semi Detached house in the sought after South Nottingham village of Keyworth on Mount Pleasant. This property benefits from THREE DOUBLE BEDROOMS upstairs and a beautiful SOUTH FACING GARDEN & NO CHAIN. It briefly comprises; Entrance porch, Large Lounge Diner, Modern Kitchen, Utility & Downstairs WC, Downstairs Bedroom / Playroom & Further Three Bedrooms Upstairs, Family Bathroom, Large Rear Garden & Off Road Parking. UPVC double glazed door and window. Space for coats and shoes. Through wooden doorway into welcoming entrance hallway with space for hanging coats, laminate flooring, radiator, stairs up to first floor landing, doors off to downstairs wc, fourth bedroom, lounge & kitchen. With a range of high gloss base and wall mounted kitchen units with wooden surfaces over, 1 1/2 stainless steel sink with mixer, white subway tiled splash backs, integrated dishwasher, integrated electric cooker, gas hob with extractor over, space for fridge freezer, under cupboard lights & ceiling light fitting, UPVC double glazed window overlooking rear garden & door onto side storage area which runs the length of the property with gated access both ends. Large double aspect through lounge with UPVC double glazed window to the front & rear aspect with door opening onto the rear garden patio area. Lovely feature fireplace with surround, laminate flooring throughout, spot lights and wall lights. Access via the hallway and door into the kitchen. The downstairs utility has plumbing for washing machine, storage cupboards with work surface over, low level wc, vanity wash hand basin with mixer tap, tiled flooring & UPVC frosted window to the side aspect. Stairs up to the first landing with twist in stairs, access to loft hatch, storage cupboard, ceiling light fitting and doors to family bathroom and three bedrooms. 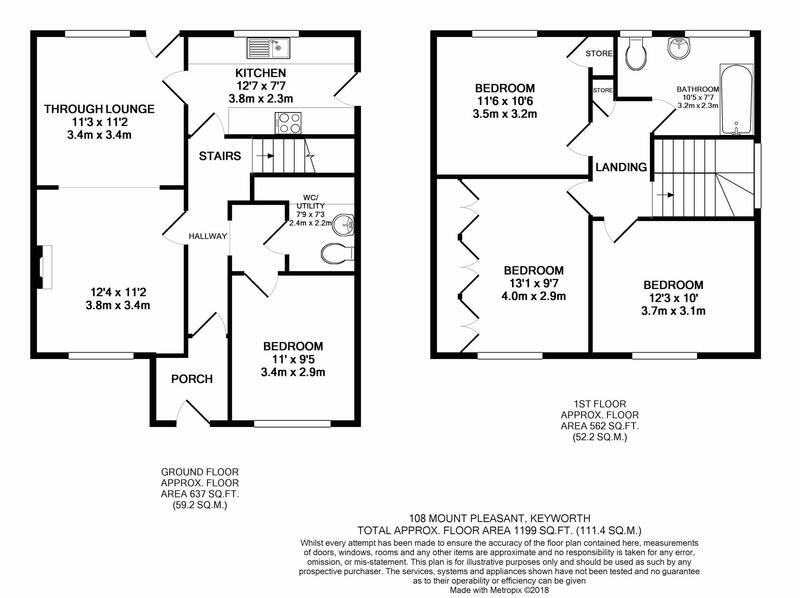 Modern white three piece bathroom suite, fully tiled with feature tiles over bath, bath with mains shower over & mixer tap, low level wc, wash hand basin with mixer tap, towel rail radiator, tiled floor, light extractor fan, UPVC frosted window to rear aspect. UPVC double glazed window to the front aspect, full length fitted wardrobes, pendant ceiling light fitting, radiator, carpet. UPVC double glazed window to the front aspect, pendant ceiling light fitting, radiator, carpet. UPVC double glazed window to the rear aspect, storage cupboard, pendant ceiling light fitting, radiator, carpet. Rear garden is laid mainly to lawn with patio area and beds, fenced borders and path to bottom of garden. Front garden has lawn and flower beds & block paved driveway providing off road parking. The local authority have advised us that the property is in council tax band C, which we are advised, currently incurs a charge of £1682.88 (2018/19) Prospective purchasers are advised to confirm this.